I’d like to begin today by wishing a very Happy Birthday to Fireman Nick and Johnny Goodtime YGB. Be sure to wish them one as well. I’m getting to this a little late because I’m watching (reading) the West Brom vs. Liverpool match. It’s half time so I’m typing again. Fecking Liverpool just scored in the 45th minute. Bastards. Don’t worry, we’ll rally in the second half and claim another victory. Boing Boing Baggies! 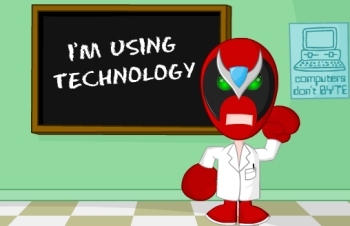 In other news, Strong Bad has made a triumphant return to the Innernet. Haven’t seen it yet? Don’t know what I’m talking about? Educate yourself. Last night was the roller derby spaghetti dinner. What’s that thing I don’t do in front of other people? Oh, yeah, eat spaghetti. It is a hot mess in my beard. And I did it anyway last night. Drugs are like that. Today is derby day. And Pathfinder. And, hopefully, at some point I’ll poop. Oh, the match is back on. Gotta go.